Pretty Amber Oval Cabochon Earrings. These Pretty Amber Oval Cabochon Earrings have a beautiful 11 x 7mm Oval Amber Cabochon set within a Lovely Sterling Silver Step setting Surround. They are over 3cm long including hooks by 1cm wide. 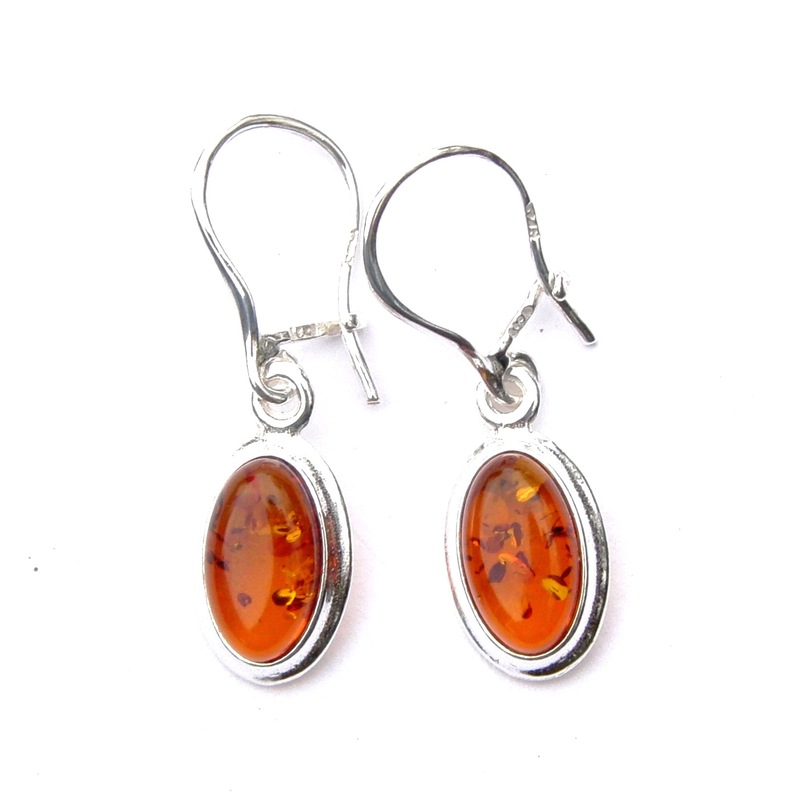 This website is strictly for approved Wholesale customers only, if you are looking to purchase this Pretty Amber Oval Cabochon Earrings from a retail store, please visit Shooting Star.